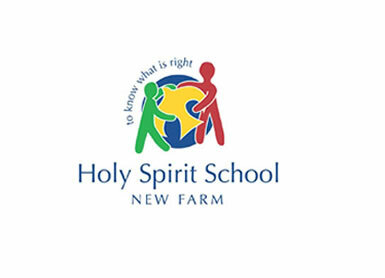 Holy Spirit School is a co-educational, Catholic, primary school, catering for children from Prep to Year 7 and located at 36 Villiers Street, New Farm in the heart of Brisbane. We are a parish school with an enrolment of 201, that belongs to the systemic schools of Brisbane Catholic Education. As such we are committed to a quality holistic education set in Gospel values for each and every student. We are a small school which allows the development of quality relationships. Community is important at Holy Spirit and relationships are promoted and celebrated through positive interaction with students, teachers, parents and the parish. We pride ourselves on being an inclusive and welcoming faith community. At Holy Spirit the importance of tolerance and understanding of difference is promoted. This allows all in our school community the right to work in a safe, productive and harmonious environment. We believe in developing the whole child- academically, socially, emotionally, physically and spiritually. We understand we are a teaching and learning environment and it is important we focus on a holistic approach for our children so they have the opportunity to develop into happy, productive and successful members of society and to ‘Know what is right’ . As a small school we foster a strong interpersonal approach whereby each child is know personally to each teacher and this allows for a better catering of individual needs within the curriculum.